My favorite Target Gift Card Offer is back!! 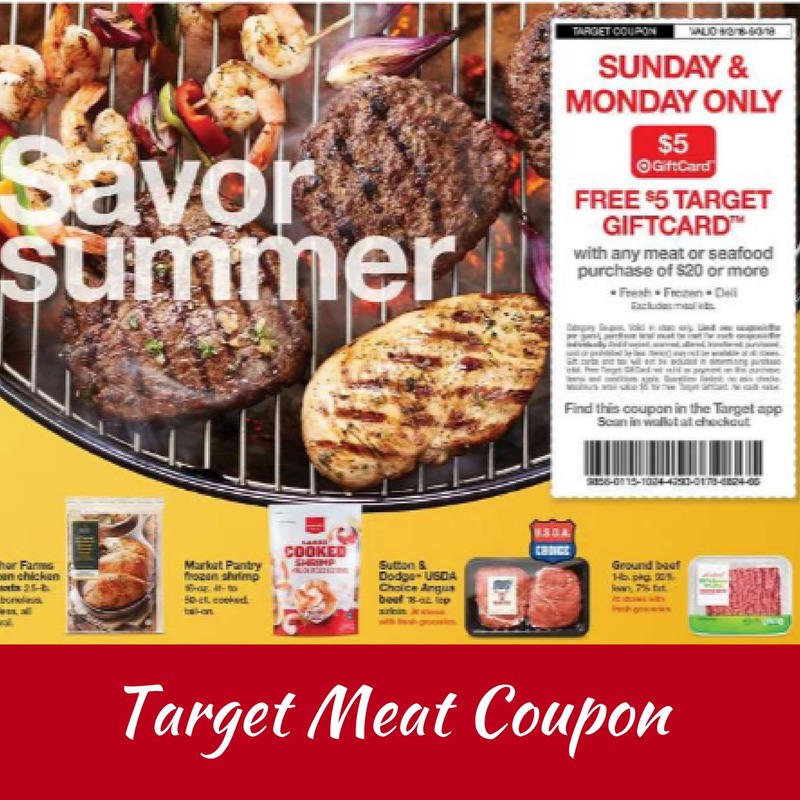 Today (9/2) and Monday only, you can get a $5 Target Gift Card with any $20+ purchase of meat or seafood! This offer includes fresh, frozen and deli meat. Tip: This coupon can be used with manufacturer coupons and cartwheel offers. It even comes off first! So load up on the coupons to get an even better deal. See the full Target Ad to grab more great deals while you’re there.